Brett Bushong is a member of the National Honor Society, a scholar and varsity athlete for four years, and swim team captain for two years. He has been on the honor roll every year of middle and high school and he is on track to receive a honors diploma when he graduates high school this spring with a 4.1 grade point average. Brett states, "I felt that the work and help that I got in Montessori made me very prepared for anything that junior high and high school throw at me. 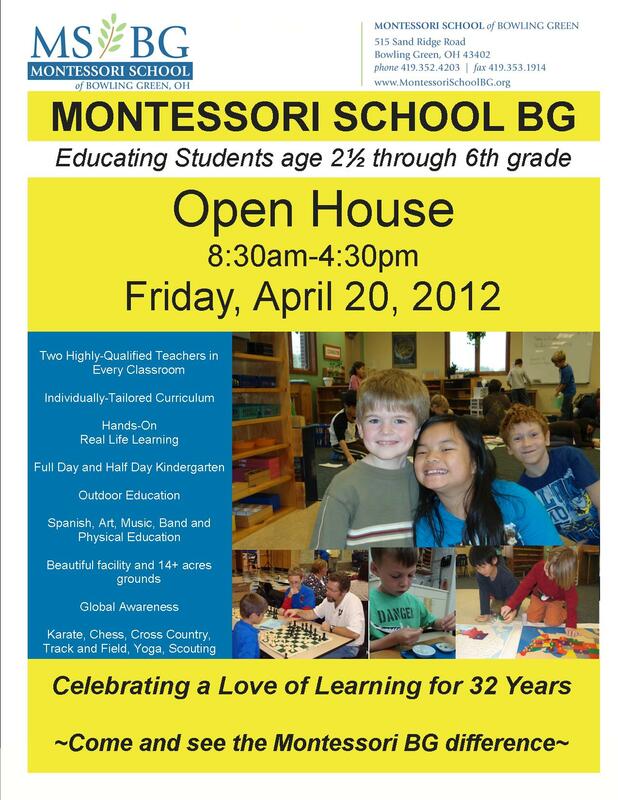 I am confident that Montessori has given me the skills necessary to be prepared for life to come." He also remembers lunch time at Montessori. "I remember the chores we had to do such as cleaning the tables or trash pick up. I remember always yelling "trash!" along with everyone else so that the person on trash duty would do their job so we could go to recess." The practical life, social, and strong academic skills will take Brett far in his life. Congratulations to him on all his accomplishments. 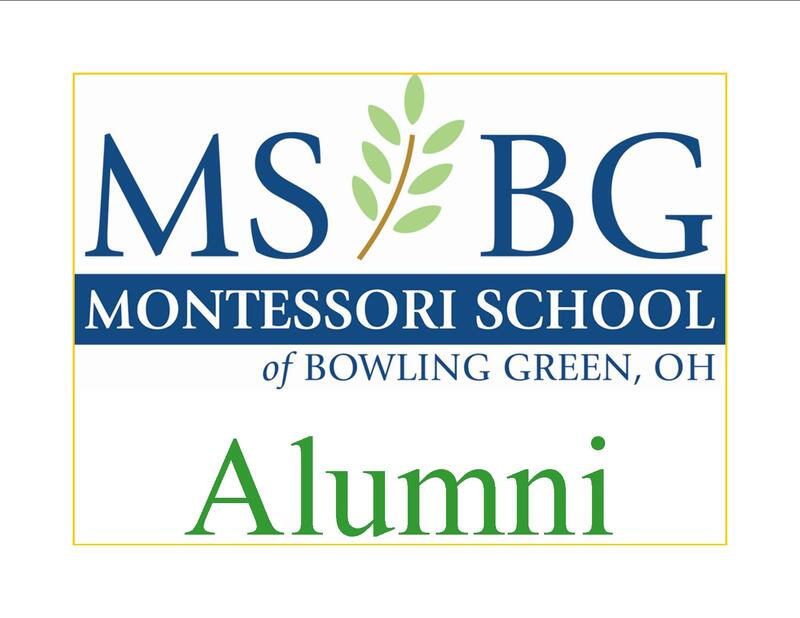 Brett attended the Montessori School of Bowling Green from age three through the sixth grade. The Nature Trail path in the Montessori woods has been cleared. We now need to mulch the trail. Please join us tomorrow morning, 9am-12noon, for a mulching party! Bring your children, wheelbarrows, rakes, and shovels. It will be a fun morning! The Chess Players are also competing tomorrow in the 2012 Ohio Elementary Chess Championships. Best of luck to them! Chamber of Commerce Ribbon Cutting at 4pm. Mayor Edwards and investors from the Chamber of Commerce will be here for our celebration! 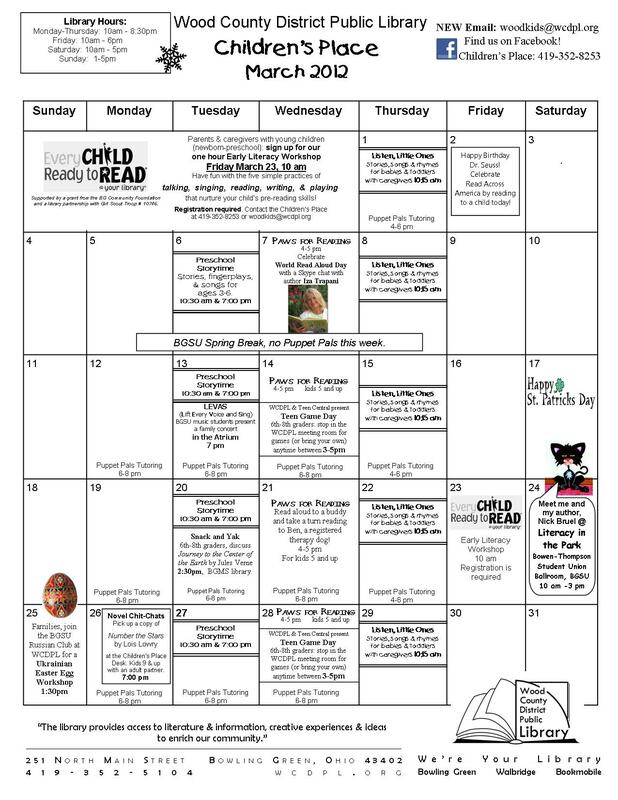 There will be Nature Walks with BG Parks and Rec, Storytime with WCDPL, demonstration of bee pollination by Schooner Farms, art activities and much more! 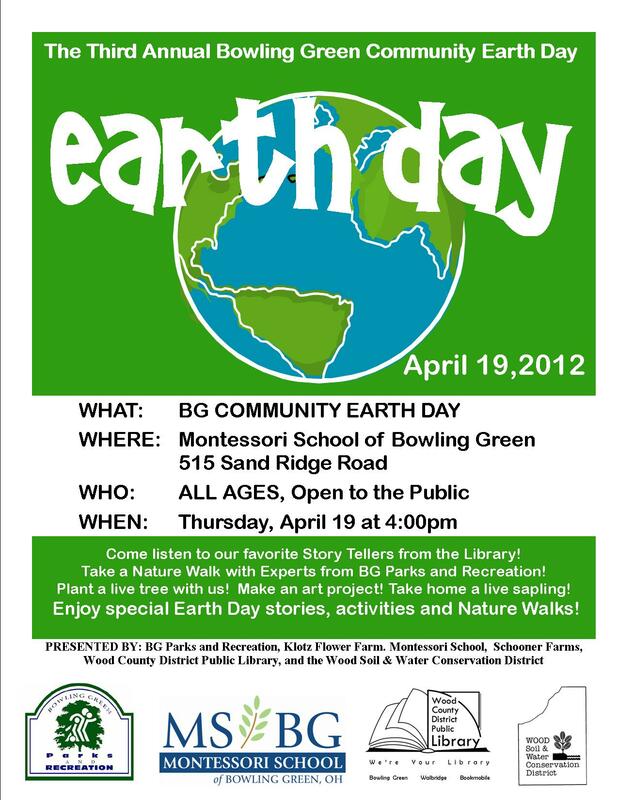 Special thanks to Lara Lengel's Environmental Communications BGSU class for all their help with this project. Last year we had over 100 people in attendance; let's make this year even bigger! 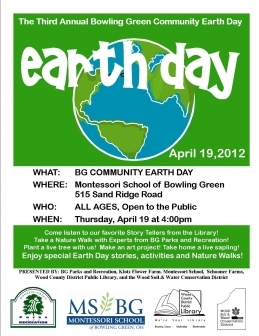 Please come celebrate the new Nature Trail and invite all your friends! Invite your friends! If you refer a family who enrolls, you can save $100 off your child's tuition! The Montessori School of BG is pleased to announce that we have eight winners in the Women's Club of Bowling Green Creative Writing Contest! The Scholastic Book Fair is coming up April 24-27. It's open to the public and will have a wide array of brand new books. Can you help volunteer? Click HERE to choose a convenient time! Click HERE for more information. Calling all grandparents and special adults! Your grandchildren would love to have you spend some time with them in the classroom. Please see the sign-up sheets located in the foyer. If you have questions, please email or speak with the classroom teachers or the office. Time slots are available in one-hour increments in order to accomodate all the grandparents but you may sign up for more time slots if the schedule allots. If you are interested in visiting during one of the enrichment programming time (Spanish, Music, Physical Education, Art, Band), please check with the classroom teachers for the schedule. We're so looking forward to our special visitors week! All sign up sheets are in the foyer on the white board. Holly is as an Education Aide in both the East and West classrooms. Holly holds her Bachelor of Science degree in Education and is licensed in Early Childhood Education (PreK-3). She and her husband live in the Bowling Green community and have a young daughter who will be a student at MSBG in the fall 2012. 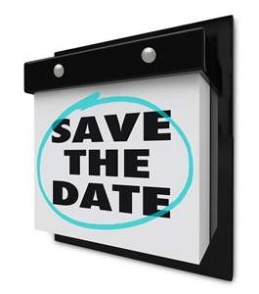 Interested in getting more involved with the Montessori PTO? will run Monday, April 16th – Friday, April 27th. A table will be located in the foyer for you to fill out a slip. You may either nominate yourself or a friend (with their permission) for any of the following positions: President, Vice President, Secretary or Treasurer. If you would like additional information about any of these positions, or have any questions, please contact Kate Balusik. Also, the Spring Fundraiser items will be available for pick-up on Tuesday, April 17th! All items will be handed out in the foyer, please take a moment to pick-up your order. Thank you again for making this fundraiser such a huge success – our total profit was $2,057.42! Our library has expanded to include a new section: Videos and DVDs! All titles are family friendly and include the entire "Land before Time" series and many Disney selections. The items may be checked out for a two week period. To continue to grow this section, we would love donations of any family friendly movies (G-PG) that your child may have outgrown or no longer watches. If you are cleaning out your media cabinet, please consider sharing your appropriate movies with us! This new section is intended to bring children of all ages into the library, expand our offerings of media and help our library stay current in all areas. Come in and check it out; we have over 30 titles available.